Special Promotion - Enjoy extra Klook credits as rebate for every SIM card purchased with us! Collection was a breeze as the UOB Centre was visibly located near the exit of the arrival hall, and it was a no-fuss connection once the sim card is inserted into the phone. 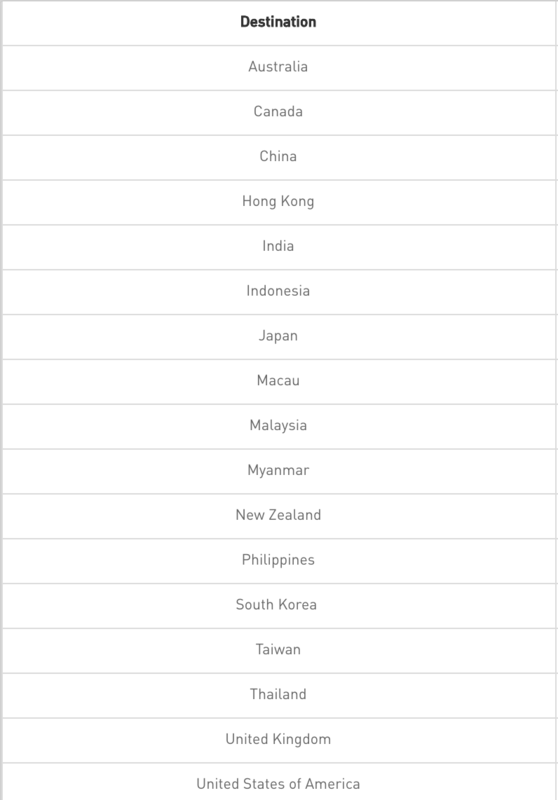 Get US$0.8 back in Klook credits for your next trip when you book this activity! Complete this Klook activity to get 10% of the activity cost back in free credits to use on your next booking. For example, book US$8.15 to get US$0.8 free credits. Minimize travel stress with an easy SIM card pick up at Changi Airport Terminal 1 and book your hotel accommodations right on the spot. Keep your family and friends up to date with fast uploads, real-time stories and snaps, and other social media updates at 4G LTE speeds from StarHub Mobile! The Traveler SIM lets you enjoy up to 100GB data with 500 outgoing mins calls, unlimited incoming calls, and 30 mins international calls. Bonus: this SIM also comes with an additional 1GB roaming data so you don't have to overspend on roaming services! There's no need to line up at long queues for registration, just go to the 24-hour counter to pick up your SIM and get connected now! Stay connected while traveling in Singapore, plus enjoy up to 100GB data and 500 mins calls! What I like about this booking is there are a lot of pick up counters. I did not worry that my flight was delayed because there is a pick up counter open 24/7 in Changi Airpot. The pick up counter was easy to find but I was a bit of disappointed of the lady who assisted me. She even did not bother to help me set up my phone when I asked politely. Please try to be more considerate and act friendly to your customers. Thumbs up to Klook for having a 24/7 pick up counter. What I like about this booking is there are a lot of pick up counters. I did not worry that my flight was delayed because there is a pick up counter open 24/7 in Changi Airpot. The pick up counter was easy to find but I was a bit of disappointed of the lady who assisted me. She even did not bother to help me set up my phone when I asked politely. Please try to be more considerate and act friendly to your customers. Thumbs up to Klook for having a 24/7 pick up counter. Easy pickup at UOB currency exchange counter upon arrival. Just plug it in your smartphones and no activation needed. Data is very useful when you’re in Singapore. Also, you can use this to call local SG numbers. Easy pickup at UOB currency exchange counter upon arrival. Just plug it in your smartphones and no activation needed. Data is very useful when you’re in Singapore. Also, you can use this to call local SG numbers. Easy to redeem at UOB counter at Changi Airport. (Terminal 3) When U arrive and already pickup your luggage and pass through the immigration, u will see UOB counter. Just show your QR code on paper or mobile app with your passport. U will get the registered SIM card and can use it immediately. U can post and share every moment on social media. Moreover u can use this sim to share a hot spot wifi with your friends. Easy to redeem at UOB counter at Changi Airport. (Terminal 3) When U arrive and already pickup your luggage and pass through the immigration, u will see UOB counter. Just show your QR code on paper or mobile app with your passport. U will get the registered SIM card and can use it immediately. U can post and share every moment on social media. Moreover u can use this sim to share a hot spot wifi with your friends. Highly Recommended to buy sim cards thru Klook. Just buy online and get the simcards at the 24 hour kiosk at changi airport. I bought 3 simcards for me, my wife, & daughter. Each sim account has 100GB data and 500 minutes call. Very helpful in navigating Singapore to have data for google maps & SG Bus/MRT data. Dont hesitate! You might get lost without it. Highly Recommended to buy sim cards thru Klook. Just buy online and get the simcards at the 24 hour kiosk at changi airport. I bought 3 simcards for me, my wife, & daughter. Each sim account has 100GB data and 500 minutes call. Very helpful in navigating Singapore to have data for google maps & SG Bus/MRT data. Dont hesitate! You might get lost without it. HIGH SPEED INTERNET EVERYWHERE I GO IN SG! LOVED how this one is redeemable 24 hours since our flight was really late. All my friends was able to connect and still no lags. Love it will use it again when i come back. HIGH SPEED INTERNET EVERYWHERE I GO IN SG! LOVED how this one is redeemable 24 hours since our flight was really late. All my friends was able to connect and still no lags. Love it will use it again when i come back. Easy to buy on KLOOK Application for group, we can buy 10 pax in a transaction. Fast and safe payment with credit card method. KLOOK's price cheaper than my country's seller. So much free feature made M1 tourist SIM Card cheaper than other provider. Easy to redeem because e-print. User friendly to activate the connection. M1 has good Signal and big quota, convenience to watch youtube while running google maps. Thank you KLOOK. Easy to buy on KLOOK Application for group, we can buy 10 pax in a transaction. Fast and safe payment with credit card method. KLOOK's price cheaper than my country's seller. So much free feature made M1 tourist SIM Card cheaper than other provider. Easy to redeem because e-print. User friendly to activate the connection. M1 has good Signal and big quota, convenience to watch youtube while running google maps. Thank you KLOOK. It was so helpful since I use google maps all the time. I also used it to monitor the bus schedules and contact establishments since it was rainy half the time I was there. Then I was also able to have internet while in malaysia. I used it with the happy prepaid app. Made my life so much easier. It was so helpful since I use google maps all the time. I also used it to monitor the bus schedules and contact establishments since it was rainy half the time I was there. Then I was also able to have internet while in malaysia. I used it with the happy prepaid app. Made my life so much easier. Starhub simcard for traveler is really help me to stay connected at Singapore, easy to redeem, easy to use, and stay longer for up to 7 days. Gonna use this again! 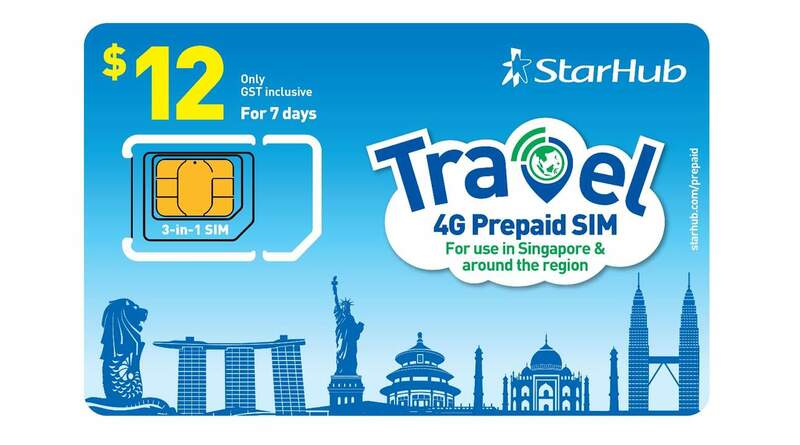 Starhub simcard for traveler is really help me to stay connected at Singapore, easy to redeem, easy to use, and stay longer for up to 7 days. Gonna use this again!